I've met Jim Chapin in Los Angeles, 1995. He's a nice and friendly guy, and indeed a very great drum performer, an incredible unforgetable hands technique. And he always like to talk about drumming. We have a little conversation, he also teach me his hands technique, realize that it takes time and experience to do such thing. The first step had to be taken to get the next. He inspired me much about how to behave as a drummer, a musician. Jim Chapin was born in New York City in 1919. His father was James Ormsbee Chapin, an artist of the American Scene style of painting and his mother was Abigail Furbei Chapin, a teacher and writer. He did not begin playing the drums until he was 18 years old, after being inspired by legendary drummer, Gene Krupa. Jim studied with Sanford Mueller, upon the advice of Krupa, and within a short time he was playing opposite Gene at the 1939 World�s Fair in New York City. In the early 1940s, Jim began working on a drum instruction book that was eventually published in 1948 as Advanced Techniques for the Modern Drummer, volume 1, Coordinated Independence as Applied to Jazz and Be-bop. Shortly thereaftcr, Jim had to have a pair of drum sticks in his back pocket at all times in case he was called upon to demonstrate a particularly difficult passage and to prove that he truly could play every pattern in the book! Advanced Techniques, which is now known simply as �The Chapin Book�, became the most important drum set text ever written and is still in print today. It was recognized in 1993 by Modern Drummer magazine as one of the top 25 drum books of all time All of the great drummers in the past nearly 50 years have paid their dues with this book that is the much-imitated, standard work on the subject. In 1971, Jim published Advanced Techniques for the Modern Drummer volume II, Independendce � the open end. a monumental undertaking that utilizes overlays to illustrate its complex points. In the preface of this work, Jim admits that even he cannot play every pattern that is presented, thus getting him off the hook of having to pull out his sticks on demand to prove that everything printed can actually be played. Volume II was ahead of its time 30 years ago and is modern today. From the 1940s through the 1960s, Jim performed and toured with a variety of hands. including Glen Gray and the Casa Loma Orchestra and groups led by the likes of Mike Riley. Woody Herman, Tommy Dorsey and Tony Pastor. He also performed on occasion with his sons, Tom, Steve and the late Harry Chapin who was one of top singer-songwriters of 1970s and a founding member of the World Hunger Year. And he has led his own groups for the past 20 year. In the early 1960, Jim wrote a musical play entitled �Passing Fair�. Unfortunately, the interracial themes of the production did not jibe with the racial climate in the country at the time and the work never produced. However, two of the songs presented later on his compact disc by HQ, made on 1994 (�Carny Days� and �Love And Laughter�) are from the play. In the past 10 years, Jim has found a second career, as he has been �discovered� by a new generation of musicians that hunger for the dcpth of knowledge he possesses on drummers and drumming. He spends the majority of his time traveling around the world teaching and presenting seminars and he is a fixture at music trade shows and percussion conventions. In 1994, he received two honors for his contributions to music and education. One was the American Eagle Award, presented by the National Music Council and the other was bestowed by the Berklee College of Music. Because of his staying power. Jim is taken for granted. Through times of �here today-gone tomorrow� artist, he has always been there. 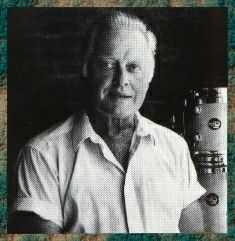 During the past 55 years, he has observed, studied and analyzed every great (and not so great) drummer. He was there almost from the beginning of modern drum set playing and that will never happen again. He is a master student in addition to being a master teacher and at, 75 years of age, Jim epitomizes the most important quality necessary for longevity in the music business: he will not grow old! Or will time run out and all stay a mistery? I am seventy-five but I am still working on the dream.